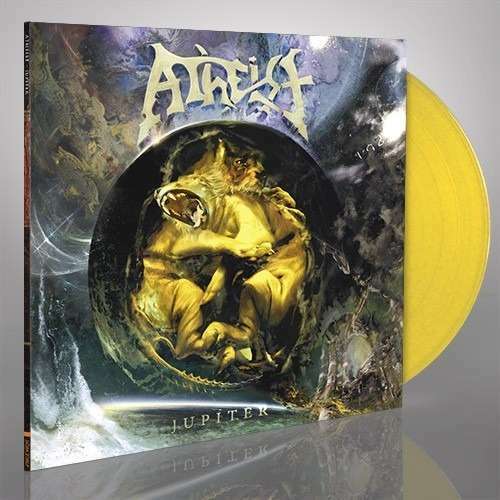 ATHEIST - JUPITER LTD. YELLOW VINYL (LP) | Online Shop | Wizard LTD. Album: "JUPITER LTD. YELLOW VINYL (LP)"
The album was recorded at LedBelly studios in Atlanta, Georgia with engineer Matt Washburn and was mixed by Jason Suecof (TRIVIUM, CHIMAIRA, DEVILDRIVER). The cover artwork was created by Eliran Kantor, who has previously worked with TESTAMENT, SIGH, ANACRUSIS and GWAR, among others.